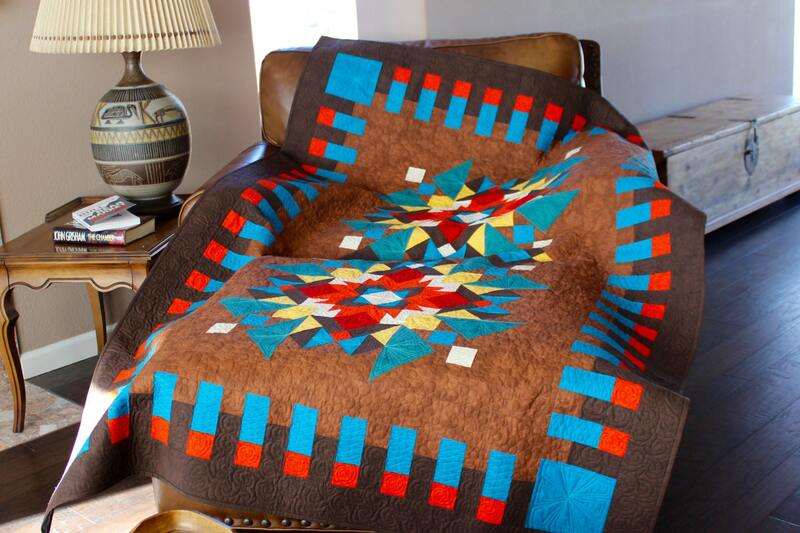 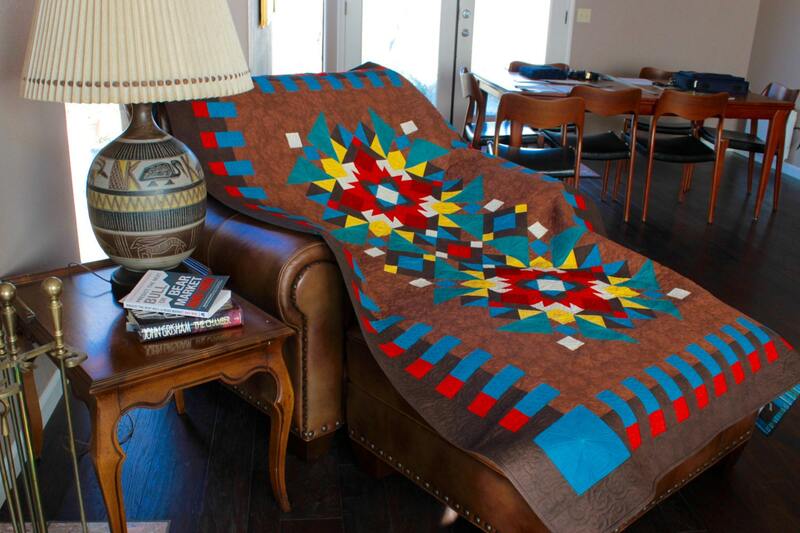 Southwest Quilt Pattern - Indian Summer - Finished size: 56" x 84"
The Indian Summer was inspired the by gorgeous fall colors, mixed with two shades of turquoise. 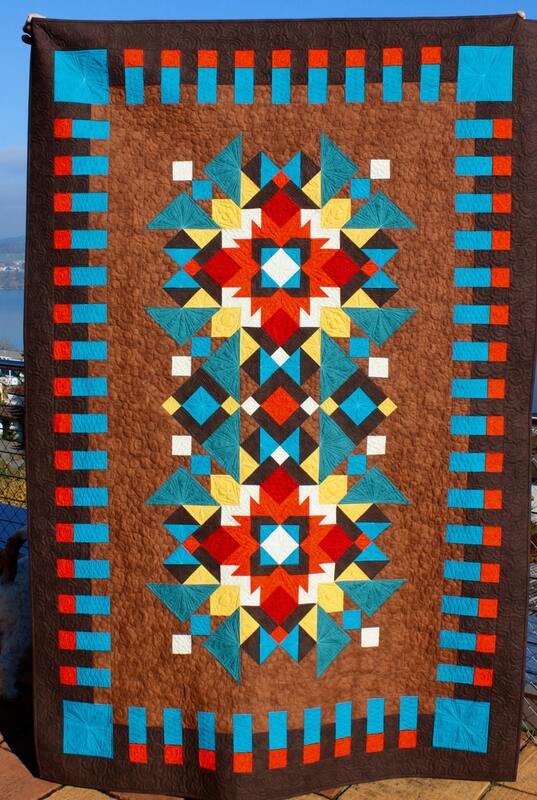 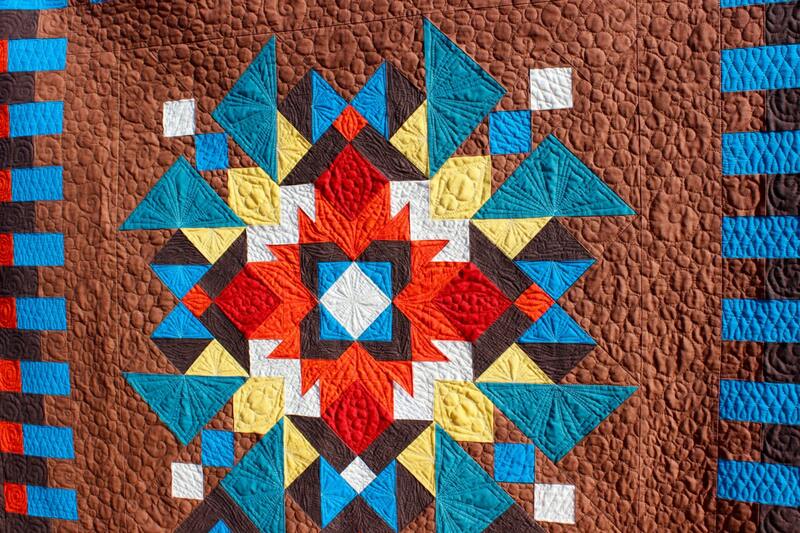 The design is loosely based on the combination of the Cathedral Square and Road to Paradise traditional quilt blocks. 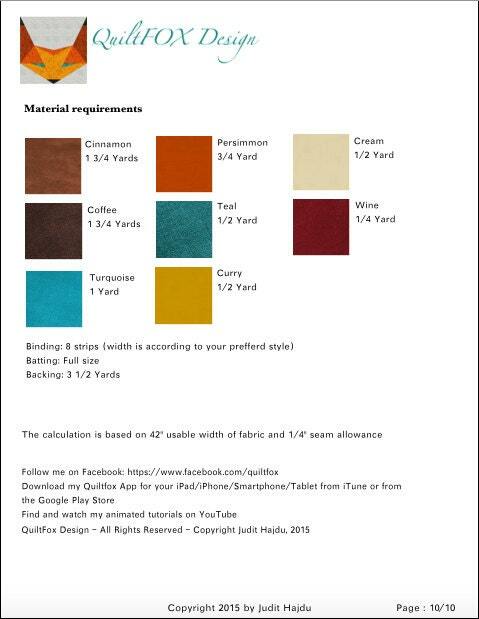 The process is demonstrated with lots of images and broken down into easily doable sections, so it is easy to follow.